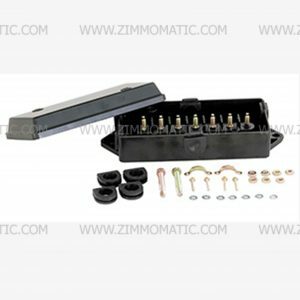 The heat shrink female bullet connector makes disconnecting wires a breeze. 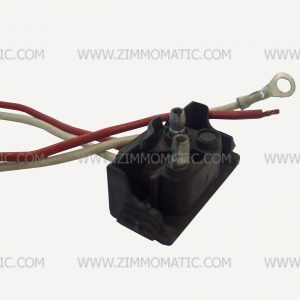 Crimp and heat shrink these into existing wiring or use them to splice new wires together. 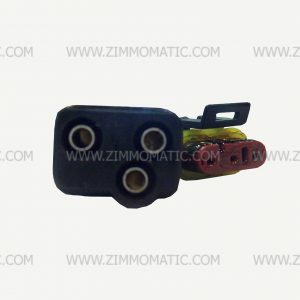 Whatever the reason, you will certainly be impressed with these connectors. A tight fit keeps electrical charge from bleeding down through the connectors. 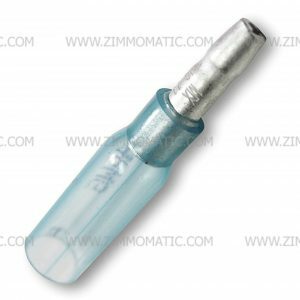 The 16-14 gauge blue heat shrink female bullet connector keeps your connections safe and dry but also allows you to quickly disconnect them quickly. Crimp the connector to the wire and then melt the heat shrink on the back half to ward off corrosion. A tight fit between the female and the male connector, WT31920, keeps your charge running strong through the connection without unnecessary loss of power. These connections are also great for wiring lights with pigtails that use the bullet plugs. Rather than chop the bullet end off the pigtail and hardwiring the light, make changing lights the easiest thing you have done with these great bullet connectors.